How to play Soccer / Football? Lets we the Rules and regulation of Soccer / Football. Soccer / Football is an ancient and popular game in the world. In course of time, this game has become a modern game. 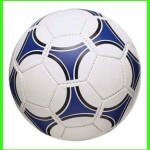 Modern sports “Soccer/football” was originated in England. Again rules of Soccer/football were also formulated in England. Due to its huge popularity, this game has spread all over the world very fast. There is a international body to control football namely “Federation International Football Association (FIFA). This organization came in being on 21 may in 1904 in Paris with initiatives and cooperation this organizationfootball spreads in many countries. Soccer / Football is the most popular game in the world. There are 17 rules to organize and conduct football game. FIFA ensures formulation and implementation of football-related rules. Therefore this game is held all over the world maintaining the same rules. Players abide by the rules and the referee implements the rules properly and neutrally. But many students does not know this rules and regulations and they frequently ask many question as – what are the basic rules of soccer?, what are the basic rules of football?, how to play soccer?, how to play football?, how many rules for soccer?, how many rules for soccer? how many football rules? etc. I have taken their question seriously and tried to answer those questions so that they can play this world famous sports game perfectly, and this game has been ever enjoyable and exciting. The rules are discussed sequentially below. Every soccer/football player must follow this rules and regulations to be a good player. Football is a kind of big round playing ball that refers to a number of sports that involve, to varying degrees, kicking a ball with the foot to score a goal, commonly known as just “football” or “soccer”. Radius of the ball is 68 to 70 centimeter, the weight of the ball is 410 grams to 450 grams at the beginning of the game. A player is a person who takes part in a game or sport. A football player - Footballer or a football player is a person who plays football, especially a professional player. Equivalent: soccer player. A cricket player: Cricketer or a cricket player is a person who plays cricket, especially a professional player. Compulsory dress for a Soccer/football player is jurcy or shirt, shorts of pant, shocks, shin guard, and boots. Players cannot were such a dress which is dangerous for others. We all know that, two team play in match. Of course heir dress color will be different so that spectator can easily remark. Knowledge World: How to play Soccer / Football?